Above is a block from “The Farmer’s Wife” quilt, from the book of the same name. The book contains designs for 111 six-inch blocks, which finish off into a full/queen-size quilt. This definitely falls into the “millions of tiny pieces” category. I’m doing this as a year-long class/club through “Quilters General Store,” a local quilt shop. We complete nine or ten blocks each month. As part of the class, they provide additional rotary cutting and the occasional paper piecing instructions. 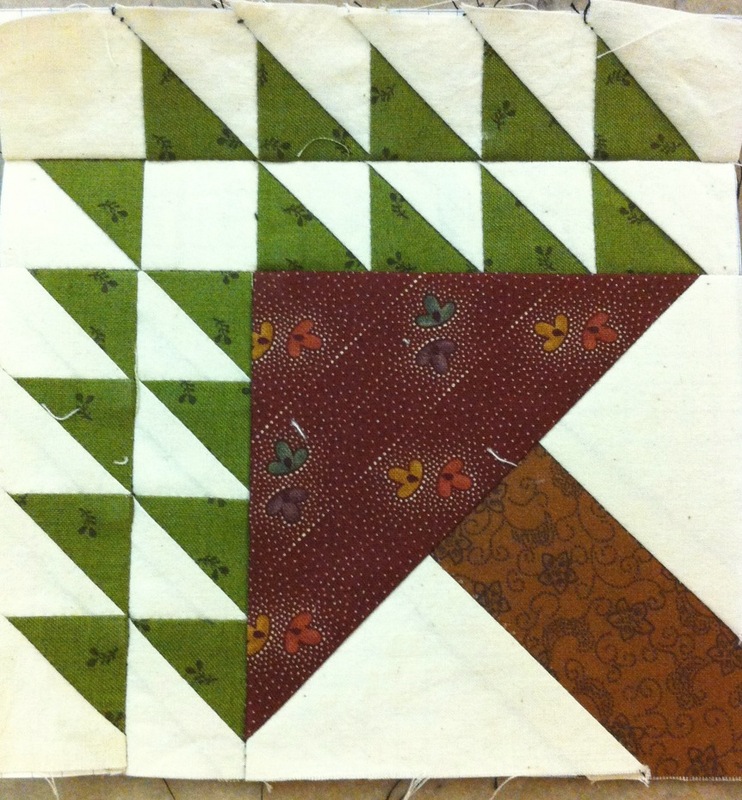 I have decided, however, that paper piecing is more suitable to six inch blocks with millions of pieces, for me. So, out comes the graph paper! I draft my own paper piecing using standard quarter inch graph paper, which simplifies the drafting and makes fabric placement during sewing easier as well. I keep the blocks on their paper backing in order to make connecting them to their sashing easier, too. Millions of little pieces… One year-long project! This entry was posted in Quilting, sewing and tagged Book, Crafts, fabric, Paper piecing, quilt, Quilting, Sew, sewing, Textile. Bookmark the permalink.